Living independently is the key to health and happiness. However, there will come a time when a little help with everyday activities can make a big difference in a Senior's life. At Queens Village for Seniors, we offer our residents an extension of their home by providing assistance. Support with the activities of daily life or a helping hand when needed allows our residents to maintain their independence with a sense of dignity, safety and security. > Assistance with outside agency services – podiatry, physiotherapy, vaccination, etc. Variety is the spice of life! That is why at Queens Village we plan our activity program to fill both your relaxing and more active moments. 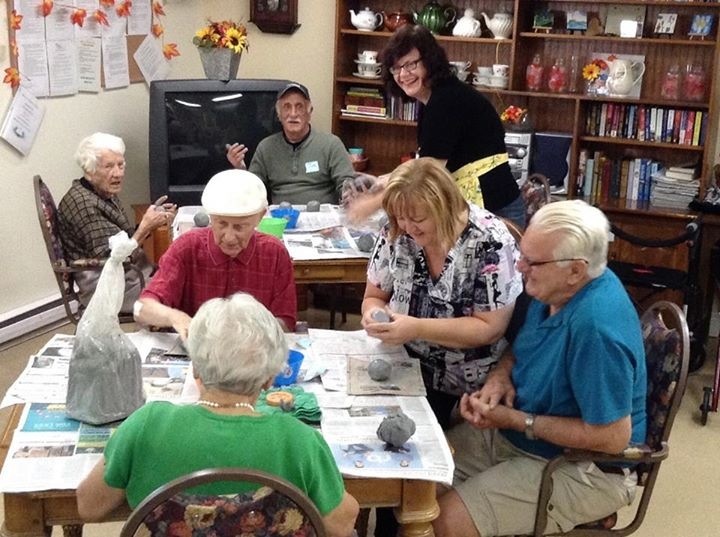 Our Activity Coordinator is dedicated to making your retirement years enjoyable and stimulating. Let our hairdresser pamper you as she sets, cuts, perms or colours your hair. You will soon discover the convenience of a salon at your door. Every five to six weeks, a qualified nurse will look after your feet to ensure they stay free of ingrown nails, fungus, and all those little problems we have no use for. Our Activity Director consults with our residents and refers to the local event calendar to prepare a schedule of outings and shopping trips. We will also try to accommodate you should your family or friends not be able to assist you with transportation to appointments – an additional charge is applied. Should you require additional care or services above and beyond our basic package, Queens Village will assist you or your family in arranging such additional care using internal resources as well as the Community Care Access Center (CCAC) or other agencies.